Cambridgeshire Scout officials are digging in their heels and refusing to listen to a rising tide of concern over plans to sell the Little Abington campsite. Their attitude has infuriated Cambridge MP Julian Huppert who met with County Scout Commissioner, Liz Craig to discuss the issue. He appealed to Ms Craig to think again before selling off the site which was donated by local businesses for the benefit of Cambridge Scouts. Ms Craig made it clear, however, that the decision had already been made and would not be changed. The site is regularly used by Scouts, Guides, local schools, youngsters working towards their Duke of Edinburgh Awards and by Cambridge University students. Julian said: “I am extremely disappointed by the attitude being shown by the leadership of Cambridgeshire Scouts. They are determined to press ahead with this sale – describing the site as ‘an albatross’ – despite the massive campaign against it. It does not seem to me that they have fully explored the other possibilities to continue running it. Julian has already called on the national Scouts Association to intervene so that the sale does not go ahead. He asked CEO Matt Hyde to look at the history and stop the sale from proceeding. “Once this site is sold, it is lost forever,” he said. Great message from Julian. The fight goes on and the many groups who have been formed are pressing ahead well now with a united front. It really is time for Cambridge Executive to sit down and consider the actions. On their website they have highlighted that last year adult volunteers were written to get their views. Where, I ask, was the consultation with the Youth Members of Cambridgeshire? This is a question I and many others have asked the County, as many will know, the standard reply from Ms Craig and Mr Holme isn’t very ‘informative’ to say the least. Scouting at County and National level brought into disrepute, I for one am ashamed to call myself a leader in Cambridgeshire Scouting. Thanks once more for getting involved in this, it really is a case worth fighting for and is intuitively the right thing to do. The County Scouts Exec behaviour is very provocative; they seem accountable to no one and to practically flaunt their apparent security over not just their subordinates but the local community in a very arrogant and un-edifying manner. The higher reaches of the movement seem at best negligent in allowing such conduct to go unchallenged. There is clearly a bigger story here. The County Scout Council’s intransigence over this matter beggars belief. What makes it more worrying is the way National Scout Headquarters will not listen to or support local Scouting in Cambridge. They have not come up with any real arguments to close the site that could not be overcome with a decent business plan. If they are not selling it to get at the family silver then give it back to the City it was given to and let them run it again. Or admit Cambridge is being sacrificed to get their hands on the cash. This terrible act will never be forgotten in Cambridge and will no doubt come back to haunt the County for decades to come. 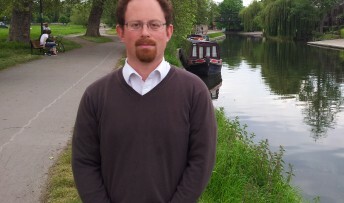 I am sure we all appreciate the support given by Julian Huppert, MP our elected representative. I suppose it was too much to ask that a mainly unelected committee would listen to a democratically elected person. Thank you to Julian for his efforts in investigating and publicising this important issue. I am currently embarrassed to be affiliated to Scouting. The decision itself is not necessarily the problem. The problem is the disregard that the County Scout Exec is showing to genuinely interested stakeholders, both within and outside Scouting. “A Scout is to be Trusted”. It seems that this does not extend to the information officially posted on the website at http://www.cambridgeshirescouts.org.uk/abington-review as there is a refusal to correct statements that are misleading or just plain wrong. Liz Craig quite frankly is a disgrace to scouting and is slowly destroying Cambridgeshire county scouting with her Nazi ways, I feel a vote of no confidence is needed and replacement should be found who will look at our best interests not secretly line her pockets, Abington scout campsite is a vital resource to our community as it has been said many a time before we need to save this for future generations of scouts not sell it, This whole fiasco makes my blood boil! Thanks Julian for your attempts to negotiate, on our behalf, on this issue. Those of us who have tried to discuss the matter with the Scout Association are all feeling infuriated at their dismissive approach to our views, and their lack of willingness to be open about the processes behind the sale of the site. In addition, many of us are losing faith in the wider Scout Association which seems to uphold a structure which lacks any accountability to those who give their time, money and support to the organisation.